All the information about the computer and the software installed on it is saved in Windows registry. Regular registry backups will prevent your computer from data loss and will let you return to the saved state whenever needed. To keep your registry safe you can use AVS Registry Cleaner. The steps below will help you do that. 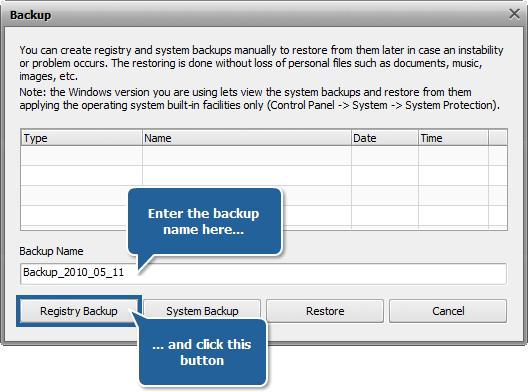 Enter the backup name in the Backup Name field of the appeared Backup window. 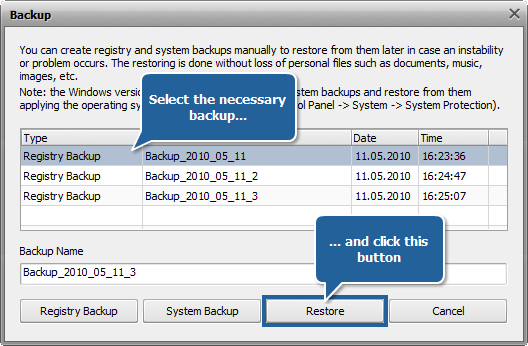 Note: you can enter a unique backup name instead of the default name so that you will be able to recognize the backup in the future and restore the registry to this exact state. 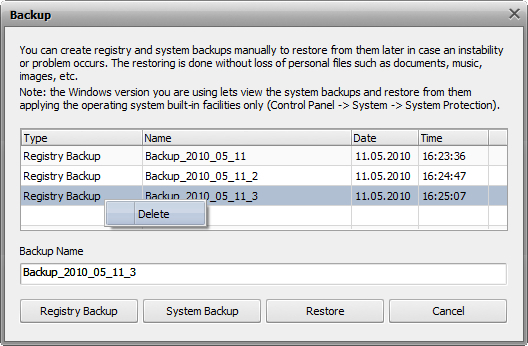 When you make the registry backup on a regular basis the Backup window can store quite many entries. 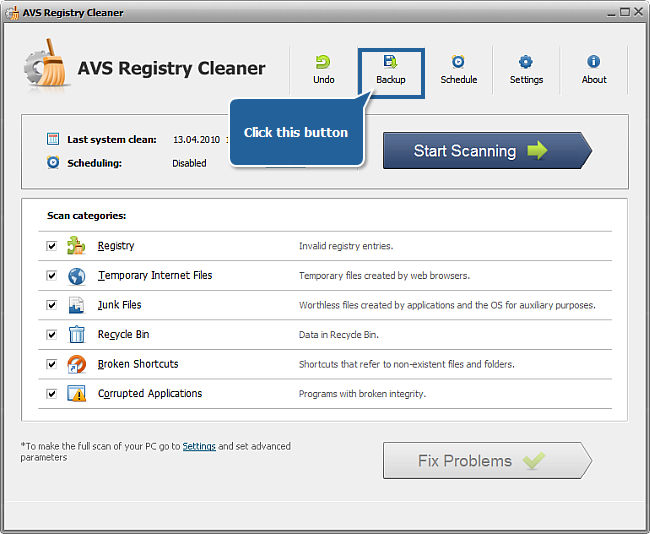 AVS Registry Cleaner lets you manage them. If you have too many backups in the list and some of them are old and you don't need them any more, you can remove them from the list. To do that click the unnecessary line with the right mouse button and select the Delete option from the right-click menu. Press the Yes button. All the windows of the operation system will be automaticaly closed. Then please wait till Windows is restarted. 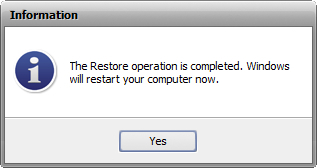 Note: don't forget to save the information in the opened programs before you press the Yes button or it can be lost.